It's unbelievable that someone lives in that house. 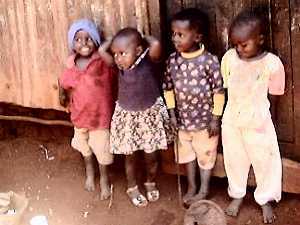 Despite all the problems they face, they still can afford a smile. 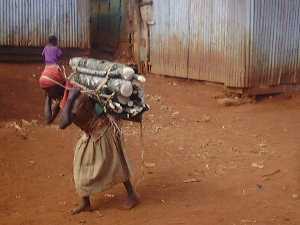 A young girl goes about her daily chores at home. 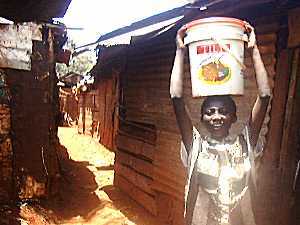 During the dry seasons such a commodity as water is fetched from long distances. 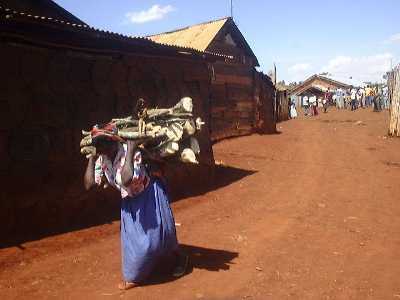 Carrying firewood is one of the most tiring chores for the women in the village. 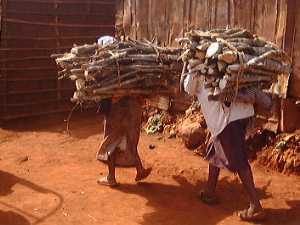 Using firewood is the cheapest way of cooking, but supplying it every day is a hard job. 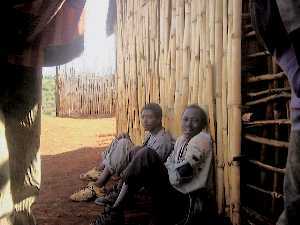 These young men stick around here waiting for any available temporary jobs. 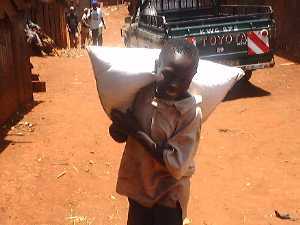 These include offloading goods from pick-up vehicles or fetching firewood from the nearby Karura Forest. Sometimes they can make a few bob offloading trucks. One sack of potatoes weighs more than 100 kg. 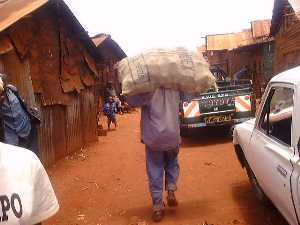 Per sack they get 30 Ksh. Even children do sometimes offer cheap labour. 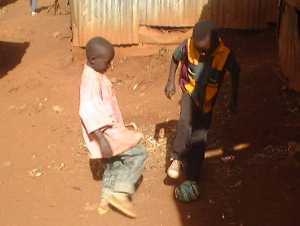 They can earn 5 to 10 Ksh. 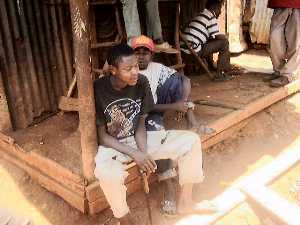 Our friends who are unemployed at the moment are doing some repair work at their home. 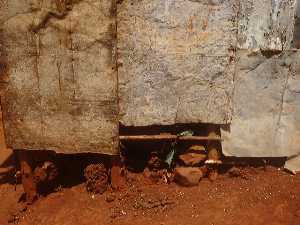 The mud walls need repair, especially during rainy seasons, when most of the mud falls off. 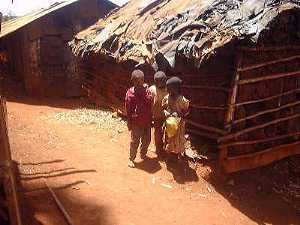 These children are content with what they can easily afford to make them happy. These balls are made from waste polythene papers and strings and give as much pleasure costly leather balls.